Astronomy is an endeavor that is full of catalogs. And I don’t mean the ones that are on the Internet that are designed to separate you from your hard earned cash. For much of its history, astronomers did little else than catalog what was in the sky. Before the telescope, this meant just what you could see with your eyeballs: the brighter stars, the planets, the moon, sun, and their various activities and relationships. With the advent of the telescope, more larger and more elaborate lists of esoteric objects could be created. 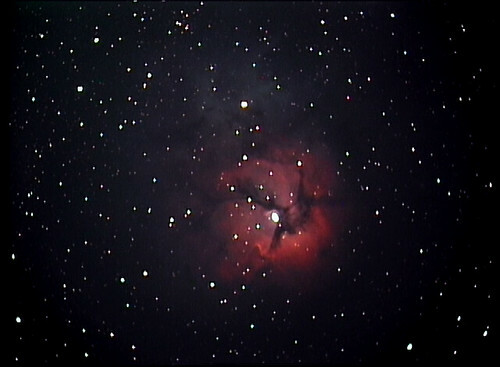 The most famous of these was the one created by the French astronomer Charles Messier. Messier was a comet hunter by trade, but he is much more famous for his catalog of interesting “deep sky” objects. The term “deep sky” in this context generally means non-stellar objects that are now known to be outside the confines of our solar system or, indeed, our galaxy. These objects are “deep” because they tend to be small or faint or both. The idea is that you have to look deep into the sky to detect them. This is not universally true, of course. Many of the brighter Messier objects are easily visible to the naked eye under darker skies and if you know where to look. But the term sticks. So how did a comet hunter get into the deep sky catalog game? Well, in his scans of the heavens, Messier kept running to objects that looked liked comets in his small telescope (small, fuzzy, non-stellar). However, to his annoyance, the objects did not move with respect to the background stars. This meant that they were something besides the comets that he was interested in. In order to help out his fellow comet hunters he decided to make a catalog of these objects. Over time this list expanded to contain about 100 various nebulae, star clusters, and what we now know to be galaxies outside of our own. Later it was expanded and corrected to contain a final tally of 110 objects. You can look up the list in various places. The Messier catalog is significant not only because it happens to contain some of the nicest objects that there are to look at in the sky, but also because everyone who becomes interested in deep sky observing eventually needs to find every object on the list. This activity serves as a benchmark of sorts; a common ritual that we can all share. So of course one of the first things that I did when I broke out my new telescope about a year ago was to start working through the Messier objects that I thought would be practical to see from my yard. It’s good to have a project to work on. Keeps the obsession focussed. 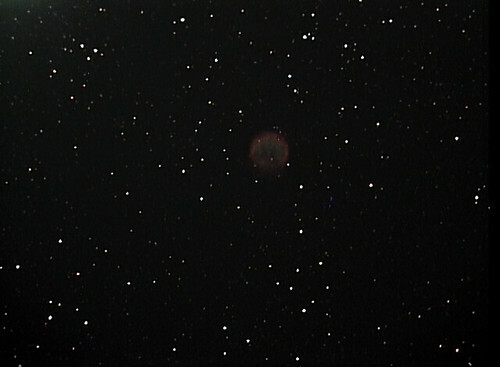 I actually did better under the light pollution than I thought I would. 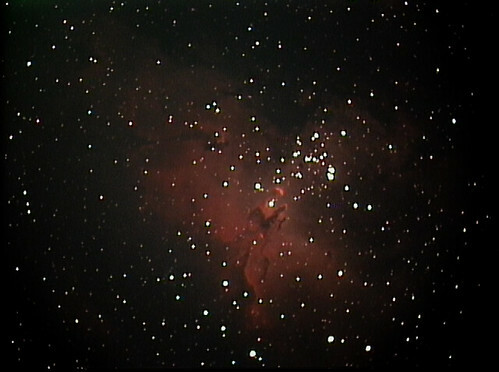 All of the showpiece objects were easy to find (M42, M31, M45, etc). 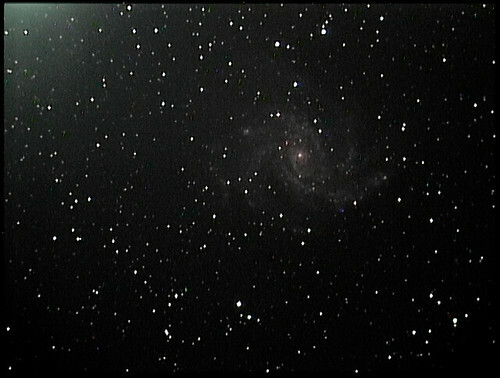 I managed to sniff out some dimmer objects and to find hints of low contrast extended star clouds like M33. Still, there were obvious boundaries, especially for objects that sit in the sky glow to the south and west of my house. 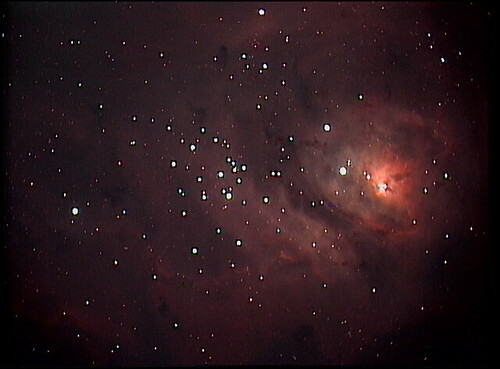 I never managed to find M74, and have only ever seen the faintest hint of something as bright as the Lagoon Nebula (M8). 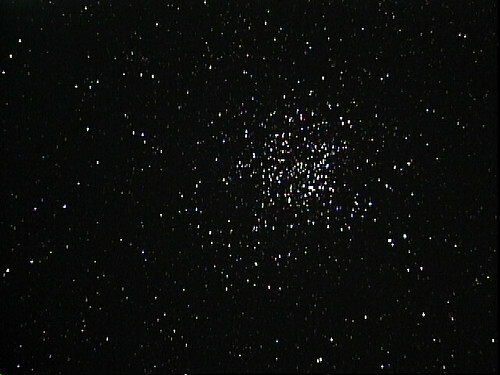 I think the one weakness of the video camera is on star clusters. 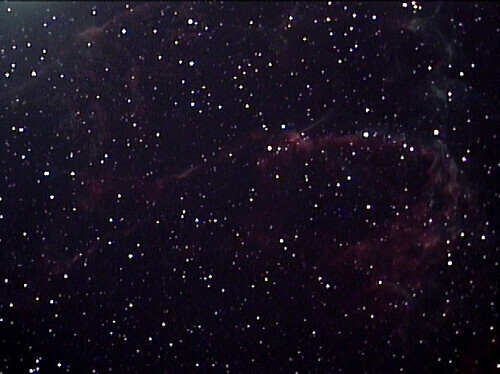 Stars all take on a square-ish pixelly look in video rather than the pinpoint sparkles that appear in the eyepiece. 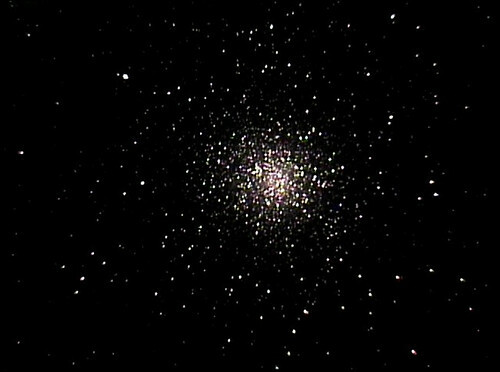 M11 is well worth seeking out and is easy to see. I knew all about M13, of course. But the fact that there was this other huge ball of stars in the same sky never occurred to me. As the summer progressed, it became pretty clear that filling out the last holes in my Messier image catalog would not be difficult. The winter objects that I had missed before would soon come back around and I’d get another shot. So it was time to look further afield for more things to find. Here, another legendary catalog stepped up to provide a longer term project. Here’s what I have so far, as far as I know: http://www.flickr.com/photos/79904144@N00/sets/72157627409712613/. Anyway, as I said before, it’s good to have a project to work on. Keeps the obsession focussed. 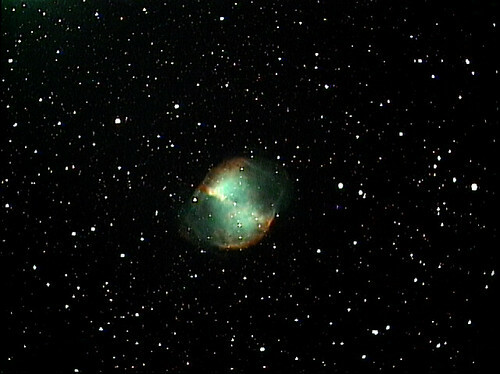 I have to end this piece with a shot of M27, The Dumbbell, because it never fails to look good. So here you go.